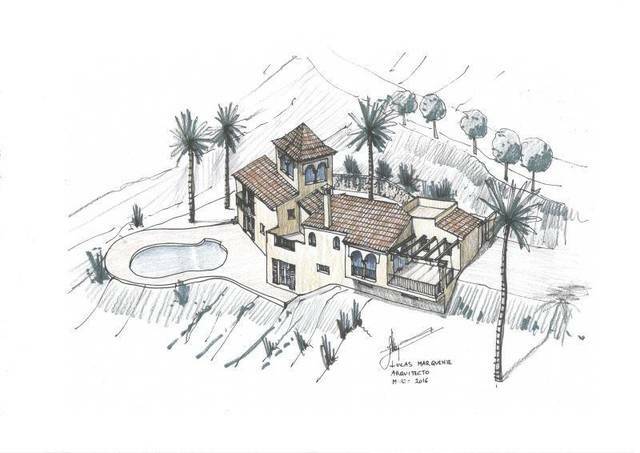 Cortijo Grande: Impressive town house located front line to the golf course. From the large terrace you have stunning views toward Cabrera and the locations offers peace and tranquillity. The property comprises on the lower level; large living room / dining room with working fireplace, under-stair storage and large French doors leading to the terrace, the kitchen is newly fitted and stylish with it’s open plan design, and also on this level a cloakroom with toilet and sink. Stairs lead to the upper floor and two bedrooms and a bathroom. The master bedroom has a terrace off with stunning views and the guest bedroom has a Juliette balcony. There is air conditioning in the master bedroom and the bathroom has a walk in shower. 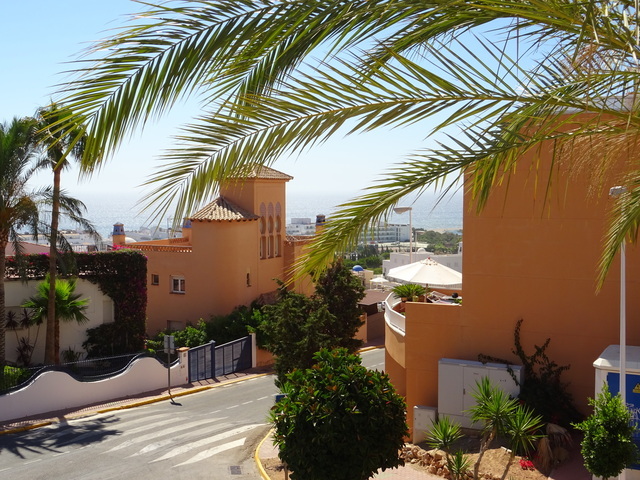 All in all this is a superbly presented and stylish town house with super views.